On December 24th, my mother’s plane struggled through the cloudy Sucre morning mist to land safely with only an hour’s delay. I welcomed her with a grand hug and was excited to introduce her to the place that I have called home for over two months. My hope was to give her a well-rounded glimpse into Bolivia over her short one week stay. The question was … how best to do this? Later in the week we had the chance to visit the indigenous community of Tarabuco where the market is awash with beautiful weavings and hand sewn llama wool sweaters. The community is made up of a variety of different indigenous groups that still maintain their traditional dress and lifestyle. It was a beautiful opportunity to see and explain to my mother the vast diversity of the Bolivian peoples and their traditions. This trip to Tarabuco was complemented by a cultural show that displayed a variety of traditional dances from regions around the country. It was visually stunning and fascinating to see the variety of costumes that have evolved amongst different groups and the dances that are used to commemorate important aspects of their culture and history. We dedicated two days to visiting Potosi, a city that was once the epicentre of Spain’s wealth, providing the silver from which the money of the America’s was generated. Potosi’s economy still depends on the same mines that once filled Spain’s transoceanic ships with silver but nowadays the most valuable minerals are zinc, copper and tin. We had a chance to visit the mines and learn about the challenging and dangerous working conditions into which the miners descend every day. It was eye opening for all involved and we were thankful for the reminder of where our resources come from and the everyday things that we often take for granted. 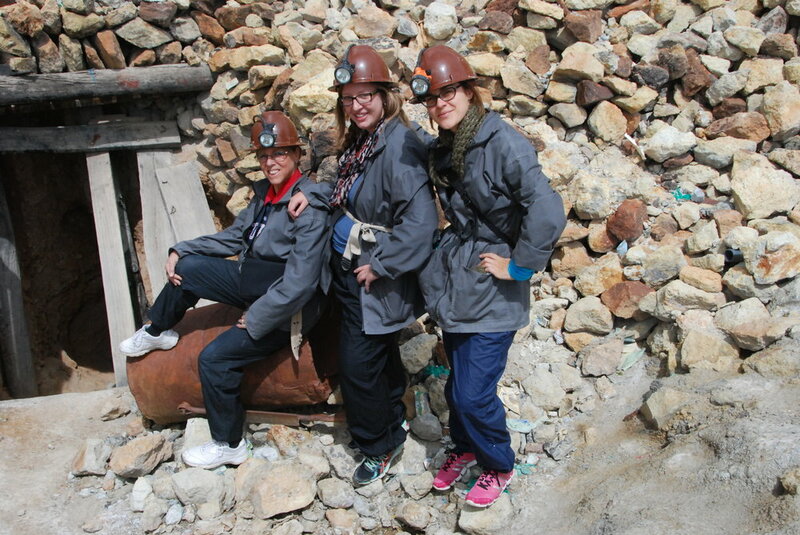 While Potosi’s economy is dependent upon a dangerous and sometimes fatal trade, most miners are grateful for the richness of the mountain, the wealth that it provides, and the lives that it sustains. Over a week we attempted to show my mother the beauty that is Bolivia. I think it is fair to say that my mom received a good glimpse into the country, its culture, its peoples, its beauty and its struggles. She enjoyed every moment and took a lot from her short time in the country. I can’t but feel grateful that I get to continue this journey for another 3 months.